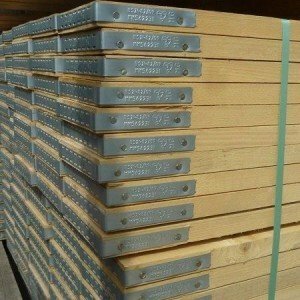 Gilray Plant is proud to be a British manufacturer of Kitemarked scaffold boards made in accordance with BS 2482:2009 at our dedicated facility in Erith, Kent. Our operation is audited every six months by the BSI in order to maintain our Kitemark licence. Using state-of-the-art machinery, all our scaffold boards are machine-stress-graded, meaning that flaws invisible to the human eye will be detected. All the timber used in their making comes with Chain of Custody certification for both the FSC® and PEFC schemes. Boards can be branded with our customers’ names and we also offer a scaff-plating service. Value for money – you get all the wood you’ve paid for!